We also announced a Tables in Wonderland event that provides members with reservations to this New Fantasyland venue! Tables in Wonderland has announced two events for November, including Be Our Guest Dinner Reservations! We sample that brand new lunch menu at Wilderness Lodge’s Whispering Canyon Cafe. Disney California Adventure treats guests to Frank & Weenies and FrankenFusion Lemonade this Halloween Season! We’ve got additional food news (including a new limited-time menu at the Polynesian’s Spirit of Aloha, Splitsville menu detail, Earl of Sandwich opening at Downtown Disney Anaheim, Zombie souvenir mugs at Trader Sam’s at the Disneyland Hotel, Jazz Soundtrack from Carthay Circle Restaurant, New Menu at Disneyland’s French Market Restaurant, Colette champagne cocktail recipe from Disney Cruise Line’s Remy, restaurant closure updates, and LOTS more) on our Disney Food News Pin Board! 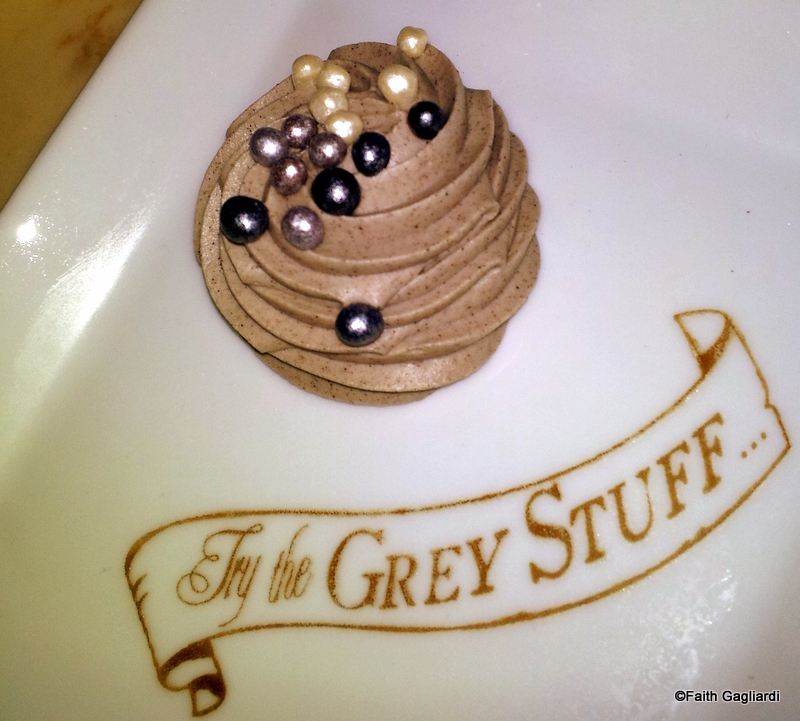 If you find a fun new food in or from Disney, share a photo with us so we can add it to our DFB Reader Finds! 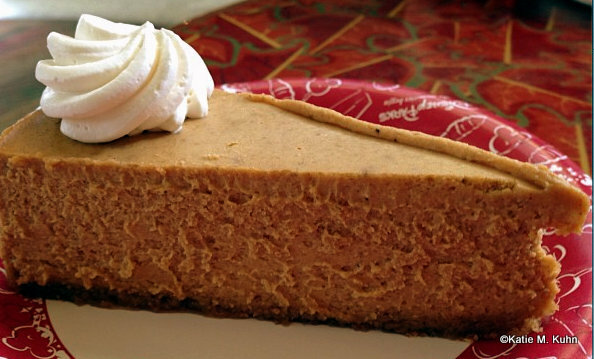 Katie M. Kuhn sent us a tantalizing photo of pumpkin cheesecake from Sunshine Seasons in Epcot. She said it was great! 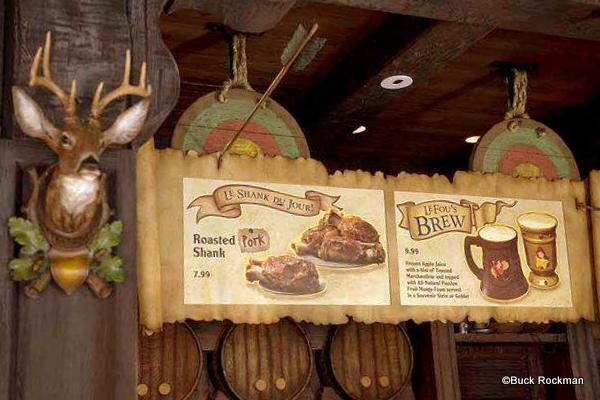 Buck Rockman shared this picture of the specialty items from Gaston’s Tavern via facebook! Thanks Buck! The 2012 Epcot Food and Wine Festival is still going strong, and we’re updating our coverage daily with World Showcase booth and special event reviews, new photos, and other Festival updates! Cheese Facts from the Food and Wine Festival! A recipe for Dragon Berry Colada from the Caribbean marketplace booth. AllEars.net enjoys wine at the Lasseter Family Winery beverage seminar at the Epcot Food & Wine Festival. 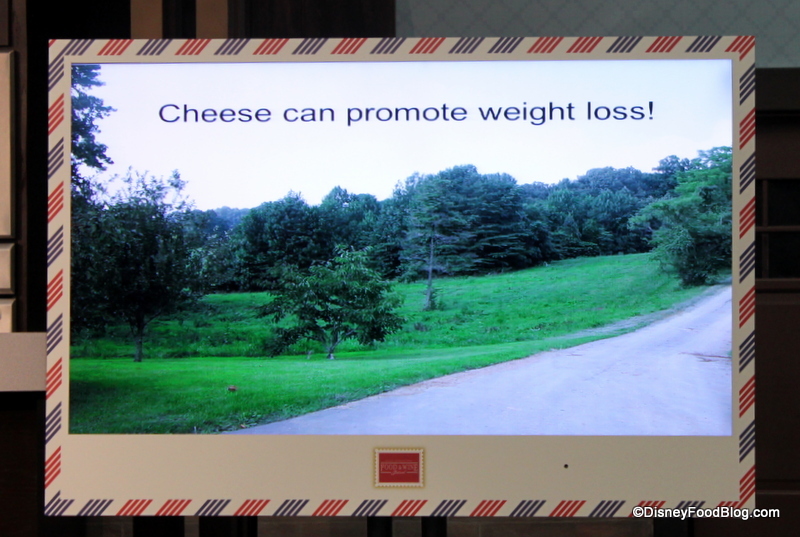 Find all of the latest Epcot Food and Wine Festival News and Reviews here, and stay tuned for our take on several seminars and events around the festival. Walt Disney World For Grown Ups visits the pool bar, Muddy Rivers, at the Port Orleans Riverside Resort. WildernessLodgeSite.com travels to Trail’s End at the Fort Wilderness resort. Daveland shares lunch at the Carthay Circle Restaurant during the Disneyland Half-Marathon weekend. Yesterland looks at buildings that inspired the architecture of some restaurants at Disney’s Hollywood Studios! LA Times looks at an effort to remove characters from Disney candy. Main Street Gazette makes the Pear Streusel Pudding Cake recipe from the 2010 Epcot Food & Wine Festival. Gluten Free and Dairy Free at WDW is hosting a private IllumiNations Dessert Party on Saturday, December 15 at Rue De Paris in Epcot’s France Pavilion from 9 p.m. – 10 p.m. All items served will be free of gluten/wheat, dairy/milk/casein, soy, egg, peanut, tree nut, corn, fish and shellfish. Disney Parks Blog shares a recipe for Colette Champagne Cocktail at the Disney Cruise Line’s Remy restaurant. Great update! We cannot wait to check out the Be Our Guest Restaurant.